Deborah Harding is a physician at Sand Lake Medical Associates. She is a graduate of Southern Illinois University School of Medicine and fulfilled a residency and internship in internal medicine. She is board certified in internal medicine, sleep disorder medicine and age management medicine. 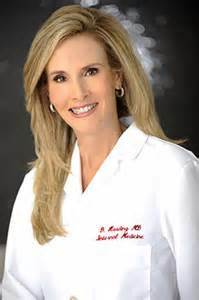 She is a member of the American Medical Association, Florida Medical Society, Orange County Medical Society, International Hormone Society, Society for Innovative Medical Practice Design, American Academy of Anti-Aging Medicine and Cenegenics Medical Institute. In addition to her distinctive medical career, Dr. Harding also serves on the Women’s Business Council, West Orange Chamber of Commerce and the Women’s Advisory Council at Orlando Health. Dr. Brian Morini is a licensed pharmacist in the State of Florida. He has a Doctor of Pharmacy degree from Creighton University and a B.S. in Neuroscience from Allegheny College in Meadville, Pennsylvania. Dr. Morini’s experience includes serving as Clinical/Staff Pharmacist at Florida Hospital in Winter Park, Florida, as well as Pharmacist for a major national pharmacy. He also served as R&D Assistant Lab Manager for Galaxy Nutritional Foods. Dr. Walsh is a family practice physician who also specializes in sports medicine. For nearly 40 years, he has worked with athletes on all levels of competition and in all sports. He is the former medical director for Mahoning County, Ohio and is a reserve flight surgeon with the rank of Colonel. Dr. Walsh received his Doctor of Osteopathic Medicine from University of Health Sciences College of Osteopathic Medicine in Kansas City, Missouri and a Bachelor of Science, Microbiology, from the University of Houston in Houston, Texas. WILLIAM JAY ROBBINS, M.D., F.A.C.P., A.A.H.I.V.S. Dr. Robbins has a long history of involvement with infectious disease care and treatment, including HIV treatment and immunology. He currently serves as the president of the practice he founded in 2000, Infectious Disease of Central Florida, located in Orlando, Florida. He is a member of the National Board of Directors of the American Academy of HIV Medicine and president of the organization’s Florida Chapter. His background includes nearly two decades of clinical research and is an expert speaker for Pfizer, Agouron, Glaxo-Wellcome, Roche, Bohringer-Ingelheim, Gilead Sciences and Monogram. In 1986, Dr. Robbins founded Central Florida Infectious Disease, P.A. and from 1986-1999, he served as Senior Physician. He has participated in numerous community service organizations specifically focused on HIV/AIDS. He has received many awards and honors including the AMI Medical Center Orlando Physician of the Year in 1989, and Orlando’s Glenbeigh Hospital Distinguished Faculty Award Recognition for AIDS victims, and has published numerous scientific papers focused on HIV medicine. 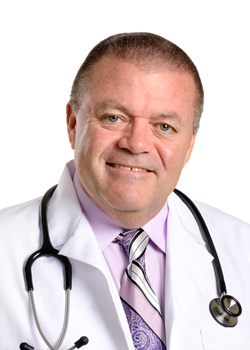 Dr. Robbins earned his Bachelor of Science degree in biology from Lehigh University (1973) and a Doctor of Medicine degree from the University of the State of New York, Albany, New York (1985).